This sponsored post is brought to you by Simon Malls – Brea on behalf of Kidgits Kids Club. If you have young children, the Simon Malls’ Kidgits Kids Club is perfect for you! 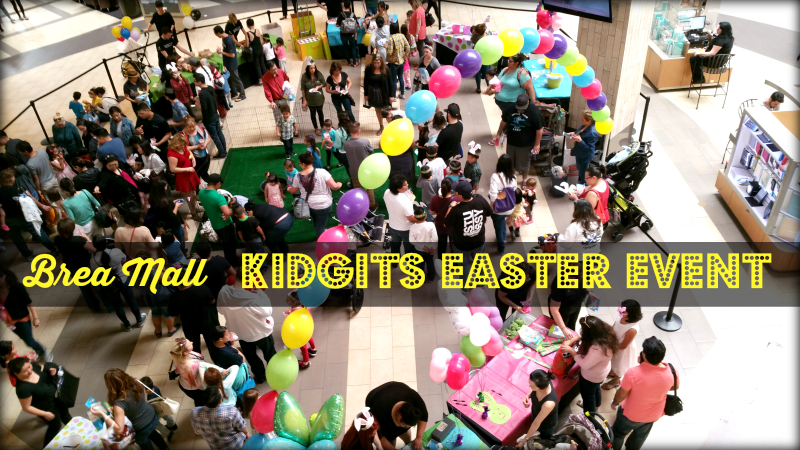 Several times throughout the year, the Kidgits Kids Club offers a day of family fun at local Simon Malls. 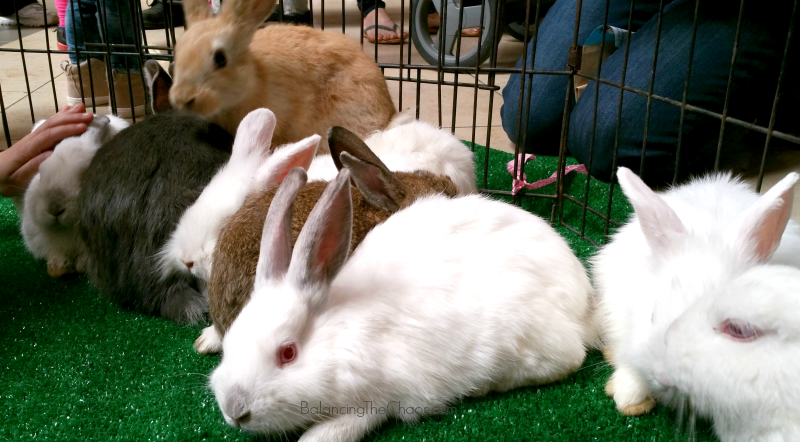 A little over a week ago, we were invited to attended the Kidgits Kids Club Easter event, which included opportunities to pet bunnies, arts, crafts and face painting. 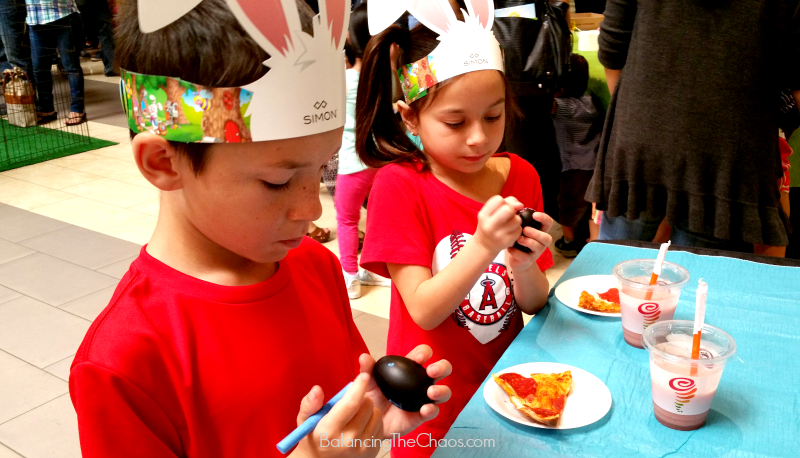 When we arrived at the Kidgits Kids Club Easter Event at the Brea Mall, we were in for a treat. We had a baseball game that day, so we headed over right after and were excited to see so many people came out to join in the fun. We were quickly greeted by representatives from Simon Malls and invited to join the Kidgits Kids Club. Great for families of young children, the kids club hosts Easter, Halloween and holiday events annually as well as special events throughout the year. Become a member here: KIDGITS KIDS CLUB. Kidgits Kids Club members were given cute little goody bags, these cute stuffed friends, bunny ears, coloring books and tickets to visit the vendor booths for fun activities and prizes. First stop, we just HAD to check out the adorable little bunnies! I even had to sneak into the pen to get up close for a cute snapshot! They were so cute and cuddly, and the best part, the kids just LOVED them! All the kiddos I saw in the enclosure with the rabbits were super sweet and gentle to these little guys. It was just awesome. Many of the Simon Mall Retailers like to get involved with the Kidgits Kids Club event too. 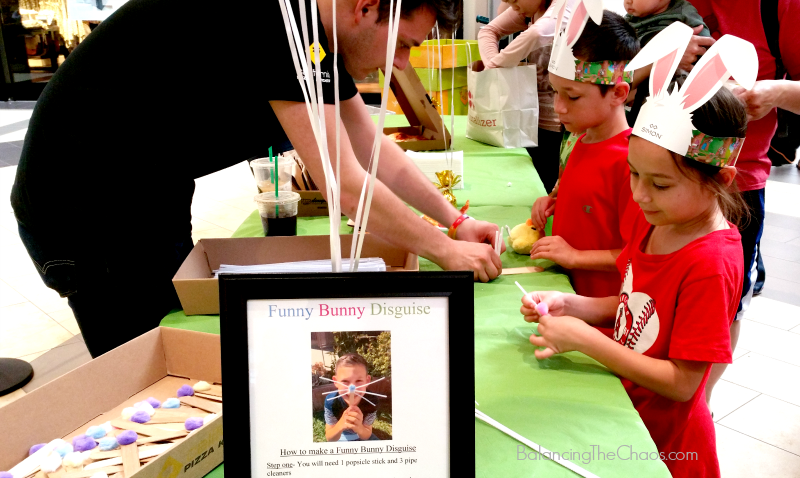 During the Easter Event, California Pizza Kitchen sponsored “Funny Bunny Disguises” where kids created their own bunny noses to go along with the Kidgits ears. Those that participated were offered a slice of CPK Pizza AND a cookie. The Rocky Mountain Chocolate Factory was also on hand to pass out chocolates to the kiddos, as well as Jamba Juice who sponsored ab egg decorating activity for the youngsters and passed out mini juices. There is still time to sign your kiddos up for the next Kidgits Kids Club Event. Visit Simon.com to find out more information and hopefully we’ll see YOU at the next Kidgits Event.